Fit Me! 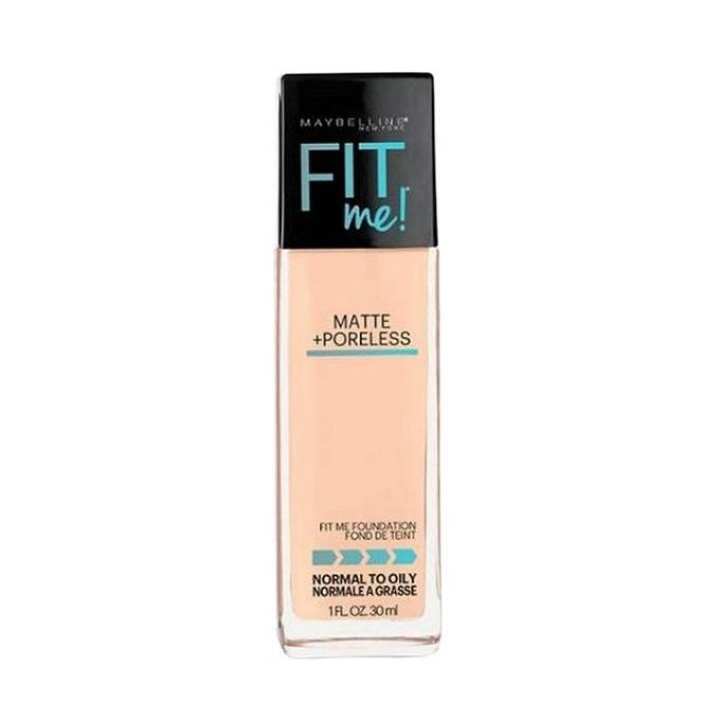 Matte and Poreless from Maybelline goes beyond skin tone matching to fit the unique texture issues of normal to oily skin for the ultimate natural skin fit. While some foundations can exaggerate pores and oily skin, only Maybelline's pore-minimizing foundation contains their genius blurring micro-powders that erase pores and absorb oil for a naturally matte and poreless-looking finish.It's all about matching skin tone and texture. Mattifying liquid formula ideal for normal to oily skin. The seller, BD Mart, offers a wide selection of products from renowned brands in Bangladesh with a promise of fast, safe and easy online shopping experience through Daraz. The seller comes closer to the huge customers on this leading online shopping platform of all over Bangladesh and serving to the greater extent for achieving higher customer satisfaction. The brands working with Daraz are not only serving top class products but also are dedicated to acquiring brand loyalty.